Invisalign® can help you attain the straighter smile you’ve dreamed of, no uncomfortable metal braces required. CEREC®has over 30 years of clinical research and practical experience to support the success of this technology. The Chao Pinhole™ Surgical Technique is a minimally invasive treatment for gum recession. Using just 4 implants to replace your full arch, All-on-4 Dental Implants are ideal to replace all of the missing teeth on the top or bottom of your mouth. Our team has the education and experience required to ensure you receive the highest quality implants. You shouldn’t have to plan your life around your dental care. When available, we offer same-day appointments. "I had a great experience at Paradise Smiles of Chantilly. Great service friendly and knowledgeable staff. I felt very comfortable after my procedure. A++" -Katherine O. "Excellence service, professionalism doctor, nice office. I will recommended to my family and my friends. I love my dentist doctor." -Nhu T.
Welcome to Paradise Smiles of Chantilly! 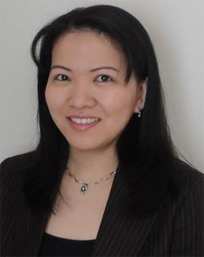 Dr. Quynh-Chi Nguyen, Chantilly dentist, is committed to providing you with excellent dentistry in a comfortable environment. You deserve a skilled, experienced dental team that can help you ensure great oral health. Experience what patient-centered care can do for you. We welcome new patients of all ages. You are important to us. For your convenience, we provide a wide range of dental solutions in our local Chantilly location including oral cancer screenings, teeth whitening, root canal treatment, Invisalign®, and more. If you are looking for instant cosmetic results, Dr. Nguyen performs the Chao Pinhole® Surgical Technique (PST®). For additional convenient restorative results, we offer CEREC® One Day Crowns. At Paradise Smiles of Chantilly, you will benefit from our state-of-the-art facilities. We use accurate, efficient modern equipment to ensure your comfort at all times. Some of our advanced dental technologies include digital x-rays, intra-oral cameras, soft tissue lasers, and more. Visit our Technology page for more information. Dr. Nguyen has an ongoing commitment to continuing education. We invest countless hours in learning the latest techniques and technologies in dentistry. You will receive effective and efficient care from our experienced dental team. Make Paradise Smiles of Chantilly your dental care partner. Contact our office for an appointment today.